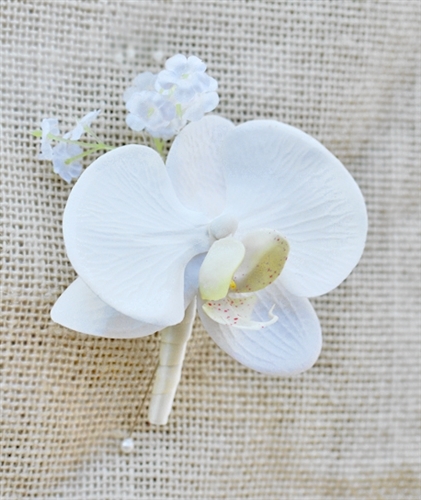 Perfect & Simple Orchid Boutonniere in YOUR Choice of Color and White Filler Choice. REAL Starfish & Hydrangeas Beach Boutonniere - YOUR Color Ribbon Color! REAL Color Starfish Beach Boutonniere - YOUR Color Ribbon Accent! 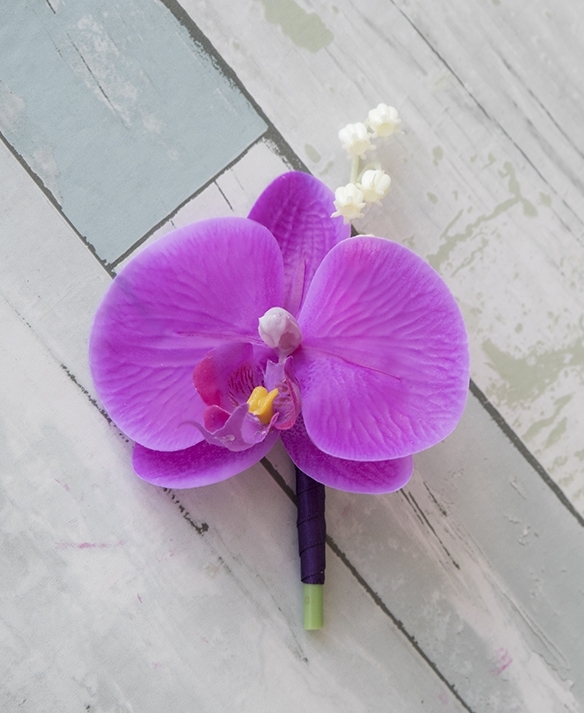 Natural Touch Open Rose Bling Boutonniere: ANY COLOR! Ranunculus Silk Wedding Peony Boutonniere: Your COLOR!